The G7 leaders have expressed support for the investigation into the alleged use of chemical weapons in Syria, the leaders said in a joint Friday declaration. 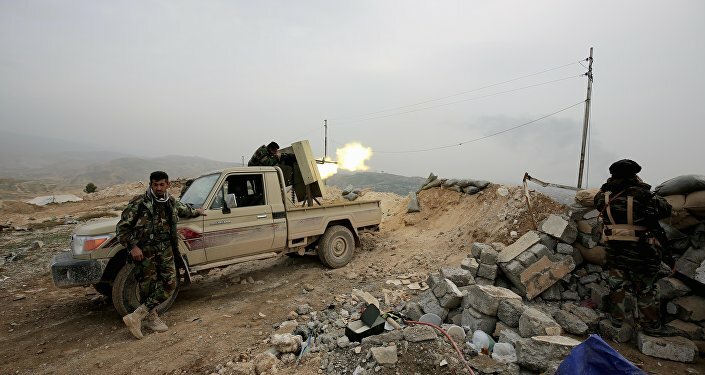 ISE-SHIMA (Japan), (Sputnik) – It was earlier reported that Daesh terrorists employed chemical weapons on May 9 in the course of battles in Iraqi Kurdistan. The militants have allegedly set up production of chlorine service projectiles and other chemical weapons in the laboratories of the northern Iraqi city of Mosul, considered the extremists' primary stronghold in the country. "We express grave concern over the findings of the Organization for the Prohibition of Chemical Weapons (OPCW) regarding the use of chemical weapons in Syria. Practical and political support for the OPCW and for the UN-OPCW Joint Investigative Mechanism is essential to identify and hold to account those involved in chemical weapons use in Syria," the declaration says.